From the 13th until the 15th of November 2018 MG will be present at the METSTRADE Show 2018 in Amsterdam. For the past couple of months, we’ve been working on some brand new energy solutions and we’re very excited to present them to you. High safety and flexible system configurations were the design principles during the development of the RS series Lithium-Ion batteries. A modular and compact design makes system integration more flexible, especially in refit projects. Adding redundant BMS and a unique cell-to-cell propagation protection takes safety to the next level. The liquid thermal management keeps the battery cells on temperature to extend cycle life and improve the peak power performance. These features make this battery suitable for large energy storage applications as well as small peak power packs in hybrid solutions. 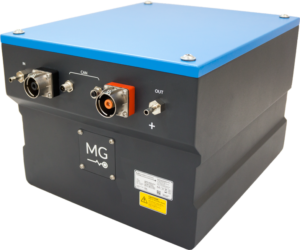 One of the new products is a new developed display that monitors and controls all MG’s battery systems. The high resolution display with touch screen shows the battery system status at a glance. 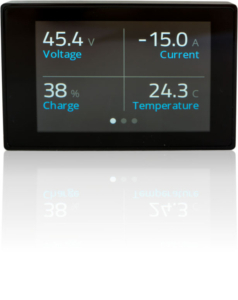 The integrated wifi module will connect the display to the cloud and makes it possible to monitor your systems with our MG Energy Portal. Our booth will be powered by our battery solution, demonstrating the safe, easy and reliable operation to you. Are you curious to see our new products and meet our team? Visit us on November 13 – 15 in the in Amsterdam RAI, booth number 02.200. The METSTRADE Show is the world’s largest trade exhibition of equipment, materials and systems for the international marine leisure industry. We look forward to meeting you at our booth!